11) chronic abdominal pain/diarrhea; etc, etc. That list is actually a short one. Indeed, even the injection of such toxic substances in single doses has been proven to cause cellular damage and death in the animal labs, especially involving the brain. And yet America’s over-vaccination agendas have been promoted since the mid-1980s by the Big Pharma cartels whose industry-paid and employed, indentured “scientists” invented all the highly-profitable vaccines and then sold them to the public and the medical profession. 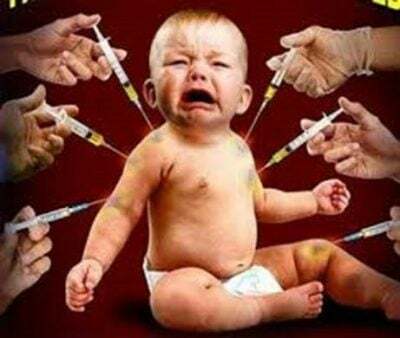 The list of corporate actors includes several Big Pharma giants in collaboration with America’s Centers for Disease Control and Prevention (CDC), America’s Food and Drug Administration [FDA], Big Medicine, America’s American Academy of Pediatrics (AAP), the American Medical Association (AMA), the American Academy of Family Practice (AAFP) etc.